My practice has been at the heart of what I do. I love nothing more than to sit with community members, students, friends and strangers and delve into the labyrinth of our lives and stories that impart such meaning to our worlds. I have been doing this for over 25 years and am always moved to tears when friends introduce me to their children who are now grown and on their own as the herbalist that helped them when they were very young. When it becomes generational, it has an excitement that transcends words. I am deeply honored and humbled. Now that Sacred Plant has helped create a new generation of herbalists, I have closed my practice and am devoting time to curriculum development, teaching, traveling and writing. For clients that I am already working with, I will see them individually and together we will formulate the best course for continuing their care. I am in constant contact with my graduates as they are staff members here so I am always available to help them with challenging cases if need be. Truth be told, they are running very successful practices quite well without me and the Chinese say that the goal of a practitioner is obsolescence. When your community does not need you, you have indeed been successful! So please take a look at the referrals I have listed below as well as Alumni page. 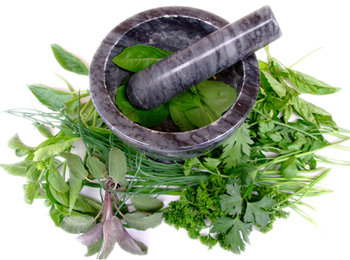 Teresa Boardwine is a registered herbalist with the American Herbalist Guild. Her teaching reflects real life experiences of learning, sharing with others and instructing on plants as food and medicine. As an educator, medicine maker and clinical herbalist Teresa enjoys connecting people with plants. She teaches and lectures at many venues in and around Virginia. Her consultation business, Green Comfort is operated from her home Apothecary. Jude Christian, Clinical Herbalist, RN, FNP, was first introduced to the value of plants as a child growing up in rural Norfolk, England. A graduate of the University of Virginia nursing program and University of Maryland Masters program for Family Nurse Practitioner, she has been practicing as a Nurse Practitioner since 2004. She is a graduate of the Sacred Plant Traditions 3 year clinical herbalist program and owns Mossyard Botanicals in Charlottesville where she practices holistic integrative care. In addition Jude designs and builds temporary and permanent labyrinths both locally and nationally for personal and conference uses. She also teaches the beauty of creating the seven circuit labyrinth. Jude can be contacted at 434 996 1819. Mary Michaud, RN, FNP has been a clinician for over 20 years, and a practicing herbalist since 2005. Her private practice, Be, in Charlottesville, VA is based in the traditions of Western, Chinese, and Ayurvedic herbalism. She offers Reiki sessions to augment her herbal therapeutics and promote balance in the body.Mary earned a master’s degree in nursing from the University of California at San Francisco, and has 10 years of experience diagnosing and prescribing as a family nurse practitioner. She is a graduate of the Sacred Plant Traditions Community Herbalist program, and has completed intensives with herbalists Stephen Buhner and Candis Cantin. Mary has worked with Kathleen Maier in the Sacred Plant Traditions clinical program since 2006 where she currently serves as Ayurvedic consultant, guest lecturer, and clinical instructor. Suzanna Stone is a graduate of the Three Year Community Herbalist training at Sacred Plant Traditions where she serves as a guest lecturer. She founded Owlcraft Healing Ways in Scottsville, VA where she offers clinical consultations and classes in plant medicine, traditional foodways, and drumming. Her passion for the drum led her to Senegal where she studied traditional West African drumming and dancing. Her chants can be found on her CD “Songs From The Spiral”. She has a BFA from Virginia Commonwealth University and her work has been in Surface Design magazine and the We’Moon ’08 date book. She was raised with an awareness of whole foods and for the past eight years has focused on learning from the plants themselves. Heather Wetzel: Heather has a deep love for the green world, a talent for listening to both plants and people, and a passion for creating synergistic matches between the two. She earned her herbal certification from Sacred Plant Traditions Center for Herbal Studies where she currently serves as Apothecary Manager and Staff Herbalist. Teaching is also a natural niche, as she holds a Master’s Degree in Education from The University of Virginia. She teaches in the Roanoke and Virginia Beach area and local venues include Piedmont Virginia Community College and The University of Virginia. She’s been serving her community since 2007 and sees clients through her practice Heather’s Herbals.